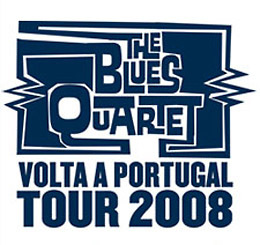 After its successful presentation in the US the Blues Quartet returns to its homeland for a series of presentations around Portugal. Starting this summer, the twinking light quartet will hosted by different venues, from gallery and museums to clubs and music rooms. Some of the presentations take the form of exhibitions, with the BQ being accompanied by other works by Feliciano. Others will be more like concerts, with the BQ ‘playing’ along different musicians.